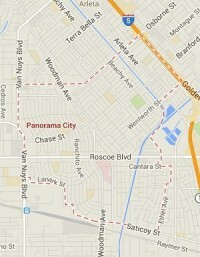 First Choice Air serves as Panorama City's premier air conditioning repair and servicing company for Carrier Air Conditioner (AC) Repair. Our experienced HVAC technicians have extensive raining and accompanying certifications, making us the San Fernando Valley's first choice in Carrier Air Conditioner (AC) Repair. The air conditioning repair experts at First Choice Air have provided air conditioning sales, installation, service, financing and repairs in Panorama City for more than 25 years. Fully licensed and bonded, First Choice Air is EPA certified and approved by the California League of Homeowners. Our service trucks are equipped with state of the art technology in order to accurately diagnose a problem and repair your Carrier air conditioner efficiently. Contact us today to schedule an appointment.